Lawrence Arabia is the musical guise of New Zealand artist James Milne. In 2006, Lawrence Arabia released his self titled debut album and the debut album his band The Reduction Agents, The Dance Reduction Agents. Both albums were nominated for several bNet awards, New Zealand's public voted alternative radio awards, and Chant Darling won the inaugural Taite Music Prize in 2010. Milne has been involved in the internationally successful pop group The Brunettes and toured as bass player for American band Okkervil River and toured with Feist. He has also produced music for film and theatre including songs that appeared in Taika Waititi's flm Eagle vs Shark. In August 2009, Lawrence performed with a new band called BARB on a small New Zealand tour with a band consisting of Connan Hosford (Connan and the Mockasins), Liam Finn, Eliza Jane Barnes, Seamus Ebbs, Jol Mulholland and Wild Bill Rickets. Their album (recorded at Roundhead Studios in Auckland) was released 24 August 2010. Toured with Crowded House in 2010. 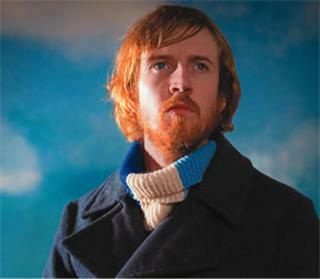 In July 2012, Lawrence Arabia released "The Sparrow".